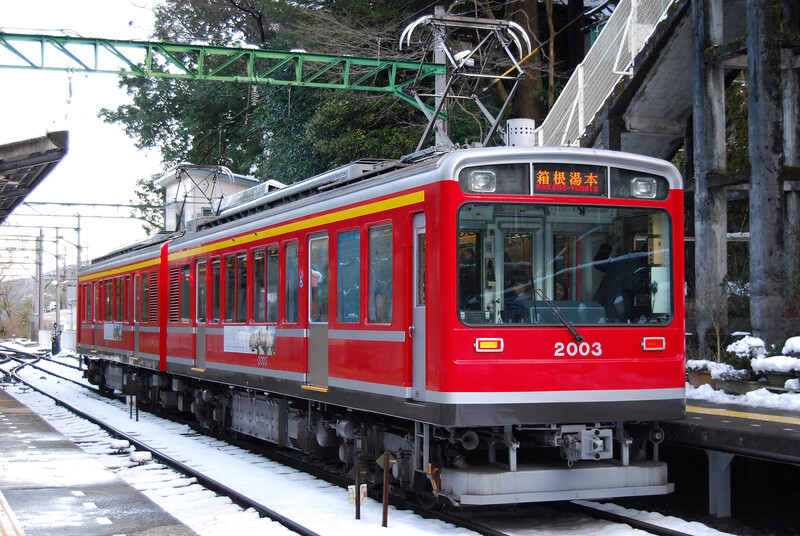 In Hakone Tozan Railway, 90 years or more ago, between Hakone-yumoto to Goura was opened for traffic in 1919, and between Odawara to Hakone-yumoto was opened for traffic in 1935. 15km in total length. It is a mountains railroad which runs up about 527 meters of vertical drops at a stretch. In order to reach a steep slope, a switchback is repeated, and 88 curves, 13 tunnels, and about 26 iron bridges are crossed. 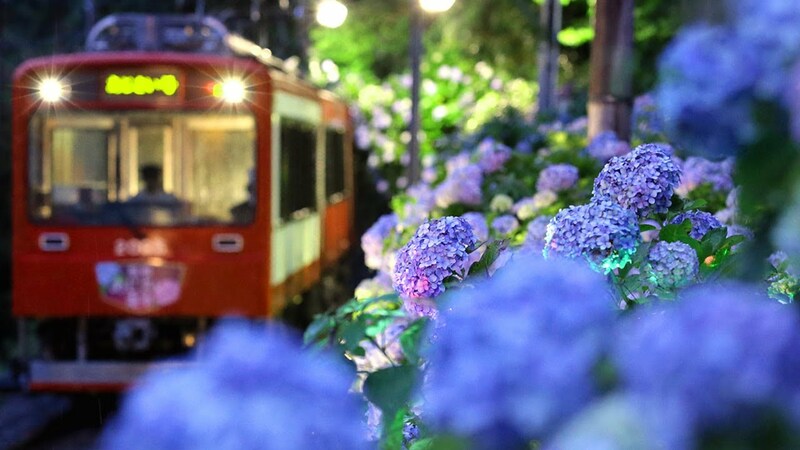 The “Ajisai Densha” (hydrangea train) will operate the middle of June to the middle of July. The steep slope of 80 per mils is reached only by the power of a wheel. 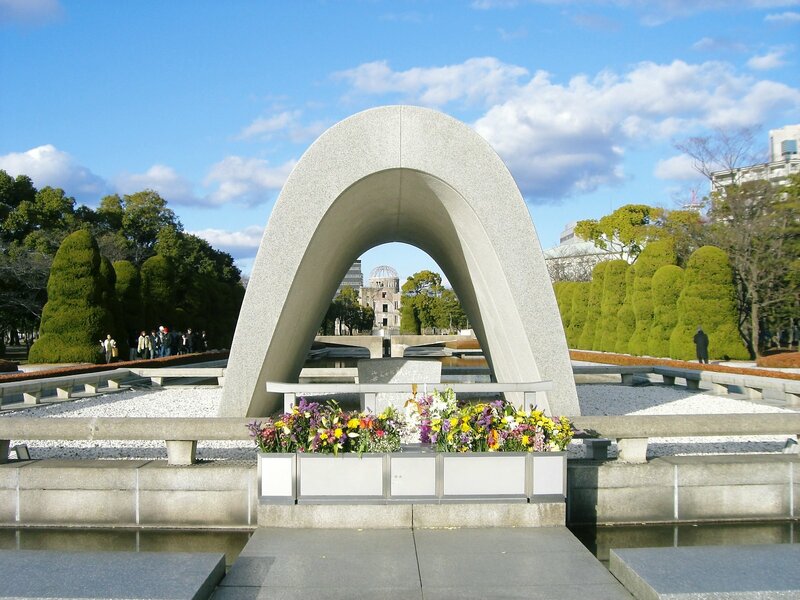 It is an incline to climb the high 80 millimeters while 1 meter advances. In other words, it climbs the high 1 meter only by 12.5 meters advancing. 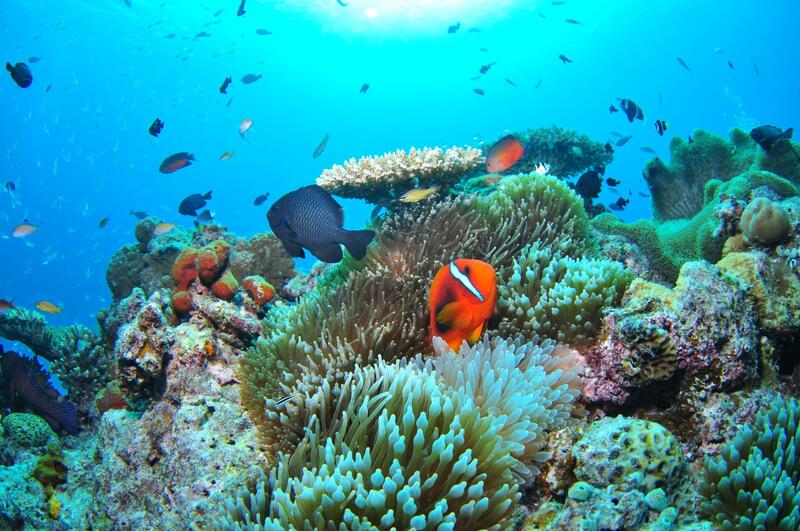 Many consideration is carried out so that the natural scene of Hakone may not be spoiled. 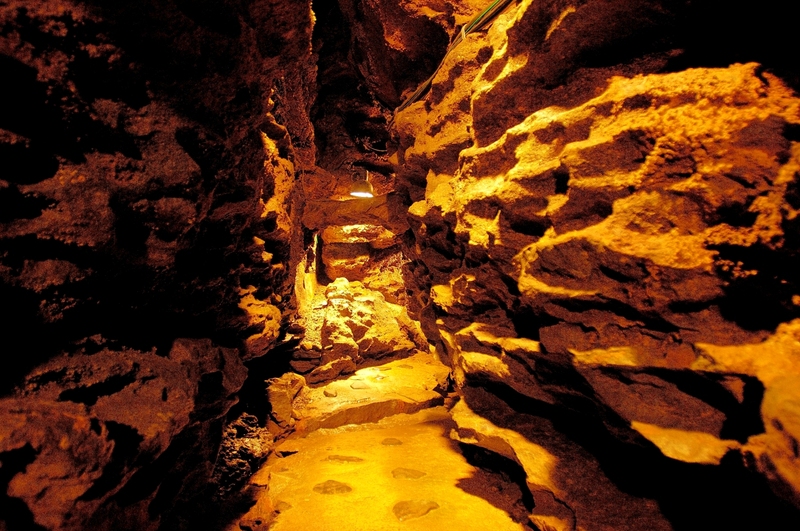 It can be said to be the expression to have prepared 13 points between Odawara to Goura, the tunnel which attains to a total of 2 kilo meters, and 26 iron bridges etc. Moreover, in order to reach the slope of a mountain, a switchback system (a conductor is replaced with a drive) is taken in and reached zigzag at three places. 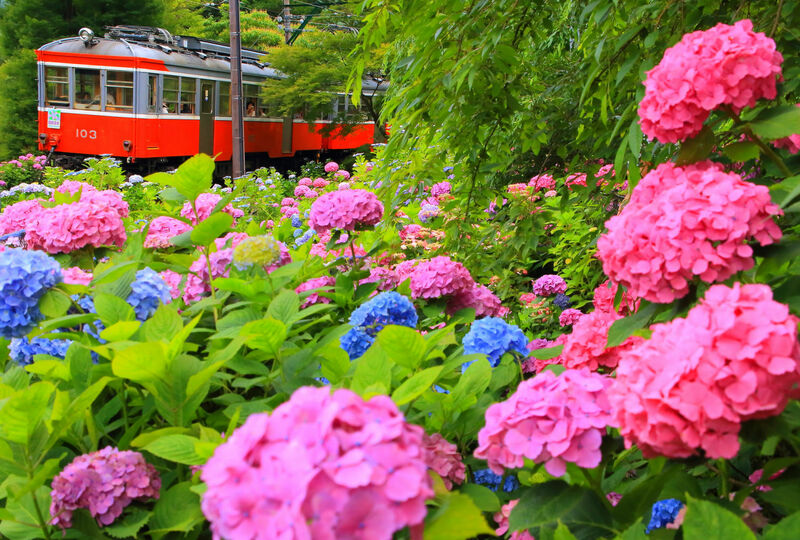 Around from the middle of June, the hydrangea of the Hakone Tozan Railway area along the railroad line will see the time of the bloom. The Hakone mountain railway of the time when this hydrangea blooms is loved by the nickname of the ”hydrangea train.” At a highlight spot, it progresses slowly, going slowly and a stop so that 10,000 shares of hydrangeas which are in all glory on the railway can be appreciated from the train window. 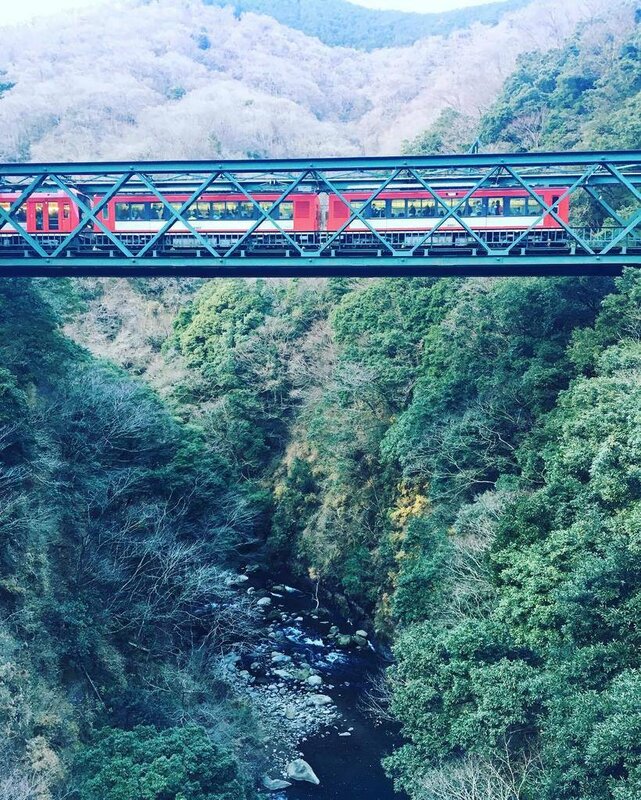 The Hakone mountain railway climbs the mountain in Hakone as the name suggests. With the altitude in an every place point, it goes up little by little, also applying the best time to see of a hydrangea toward the end of July. “The hydrangea train” has different “face” each by the same route in “noon” and “night”. Seven places of the highlight are lighted up in the night and can look at the fantastic hydrangea. Two faces, daytime and night, can be enjoyed from the train window of the hydrangea train. 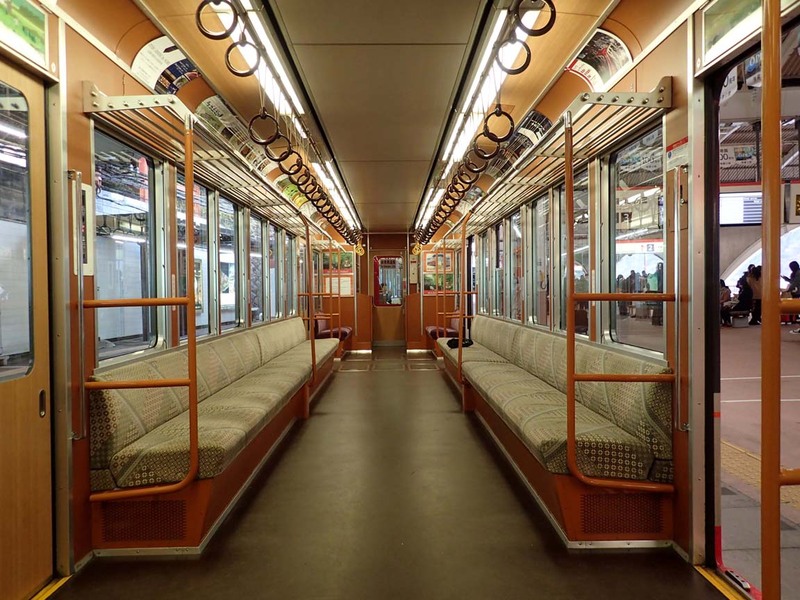 In addition, entrainment reservation is required for the special train “the hydrangea train of night” of all the seat specification.